Yesterday, I attended my very first event focused solely on books. Not only had I never been to an author reading, I had never been in a room full of people that share the same interest as I do. Everyone there loves to read books. The Literary Tea, which is hosted by the Women’s National Book Association (WNBA) Los Angeles Chapter, featured three talented authors discussing and reading from their book. I was so enamored by the whole event and gobbled up every word. I never knew how exciting it could be to hear authors, in person, read from their books and talk about their writing process. I found the WNBA through Net Galley…no surprise there. 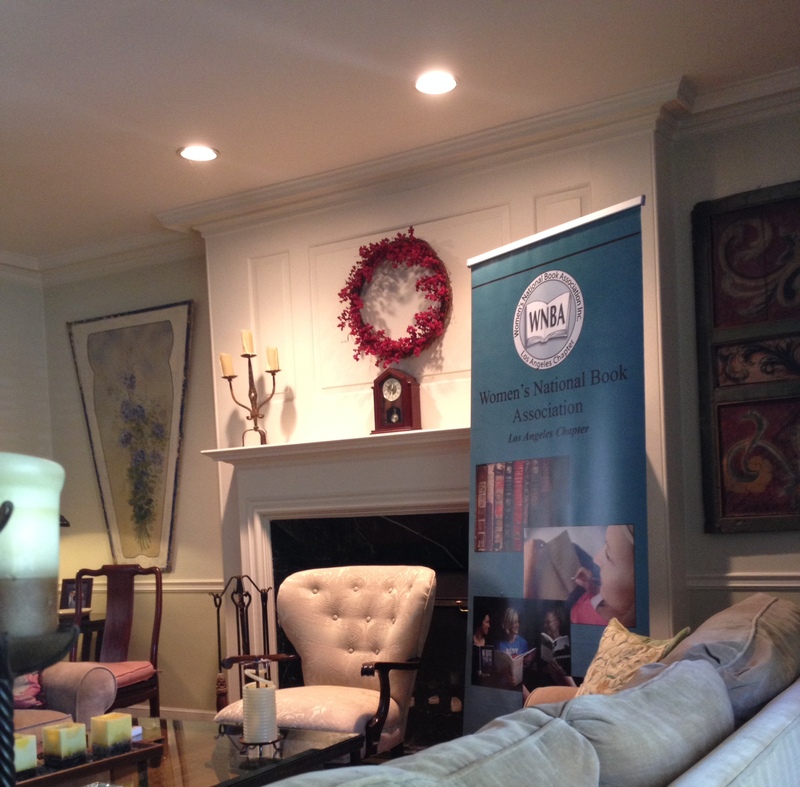 When a professional reader is creating their profile they can add what associations they are a part of. At the time, I wasn’t a part of any association, but I was curious as to what was out there. I looked a few up and was intrigued by this group and found that they have a Los Angeles chapter. Score! “The LA Chapter of WNBA brings together individuals with diverse backgrounds to exchange ideas, focus on issues, make contacts, and support the local book community. In an effort to advance knowledge of the world of book publishing and related fields, we welcome, encourage, and educate people from all areas of the book industry, particularly women. Now that I’ve given you a bit about the WNBA, let me get into the Literary Tea event. I walked into this gorgeous home to find a table full of delicious snacks and drinks. There was even a little live piano which made me totally relaxed. Everyone was so friendly and I met some great people who I clicked with almost instantly. 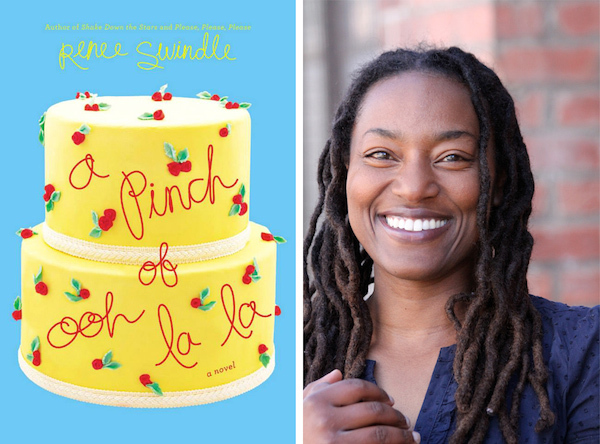 The first author we heard from was Renee Swindle who wrote A Pinch of Ooh La La. She read so passionately and I couldn’t help but be mesmerized by her. After the reading, there was a brief Q&A. One question was “How do you find the time to write with a full-time job as a professor?”. Renee said that she gets up at 4am every morning and writes before heading to class otherwise she would be too tired when she got home. This is the exact problem I have when I’m trying to write my book. I go to my “day job” from 7am-4pm plus a 30 minute train ride each way. When I get home I go to the gym, I play softball, and I spend time with my fiancé. So it seems that the weekday evenings just don’t work for me. I’m exhausted by the end of the day and am rarely motivated to write. Perhaps I should try this 4am thing. 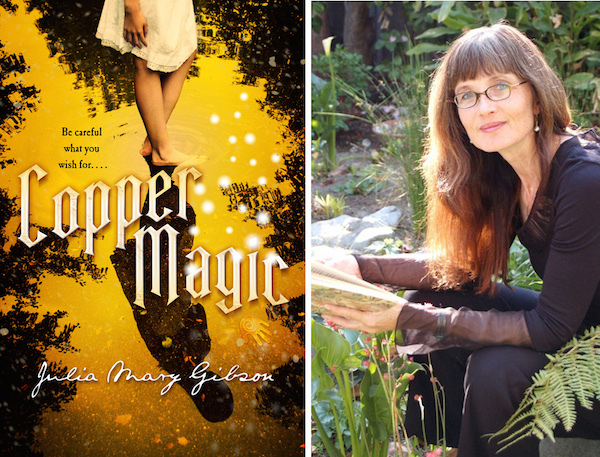 Julia Mary Gibson was the next author discussing her debut novel Copper Magic. I loved that she brought a prop to show the group. It was a cut out of a “copper” hand which is an object featured in her book and from the reading it seems like the copper hand is very important. The final author, Ann Hamilton, read from her debut novel Expecting. The Q&A portion with Hamilton was interesting as she got into discussing how her current book agent came to be her agent. She also spoke of how the book comes from some personal experiences about fertility and what it takes to have a family. I really enjoyed attending the Literary Tea and plan on being a part of many more WNBA/LA events. I also can’t wait to read the books from these amazing authors. Oh and I forgot to mention…I won a book in a raffle at the Literary Tea! Yay! Sounds like it was fun and inspiring.